The law of the rock and roll jungle has dictated that, while electric guitarists get the glory of the girls, bassists have had the small consolation of being able to walk into a recording studio, plug into any half-decent direct box and immediately produce a useable tone. 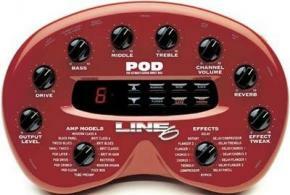 The advent of the Line 6 POD, a stellar and affordable direct-recording device for guitarists, is going to change all that. Now guitarists truly have it all.